Hi everyone, elcardenal12 ﻿here! Ever since I joined the pkmncollectors community in March 2015, I've been told how unique it is that I collect Spearow. I may be the only Spearow collector in the community, which has at least 1,000 members. I made this website to showcase my collection. 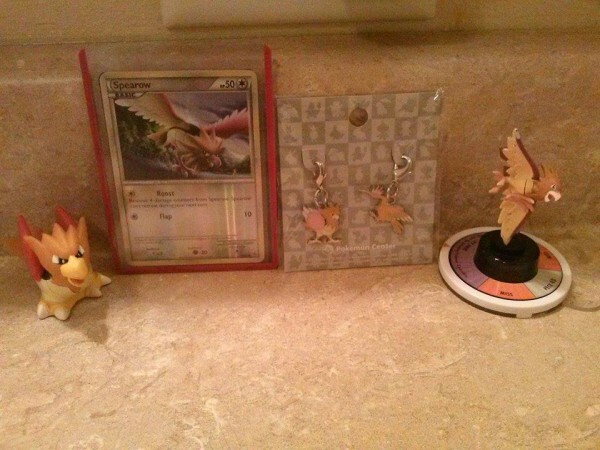 I've seen many flying-type collectors, and this can serve as a resource of the Spearow merchandise available. Thanks for visiting! This website features one photo of each of my items; if you want to see more pictures, and the stories behind them, visit my original collection page on LiveJournal. The original 4! Or, my collection before pkmncollectors.